Korean Omelet is uniquely different than the typical western style omelet. Korean omelets are taller, fuller, and fluffier. These three procedures make it the signature dish that it is. In Korea the Korean Omelet is not just for breakfast but is served as a side dish to a variety of meals. 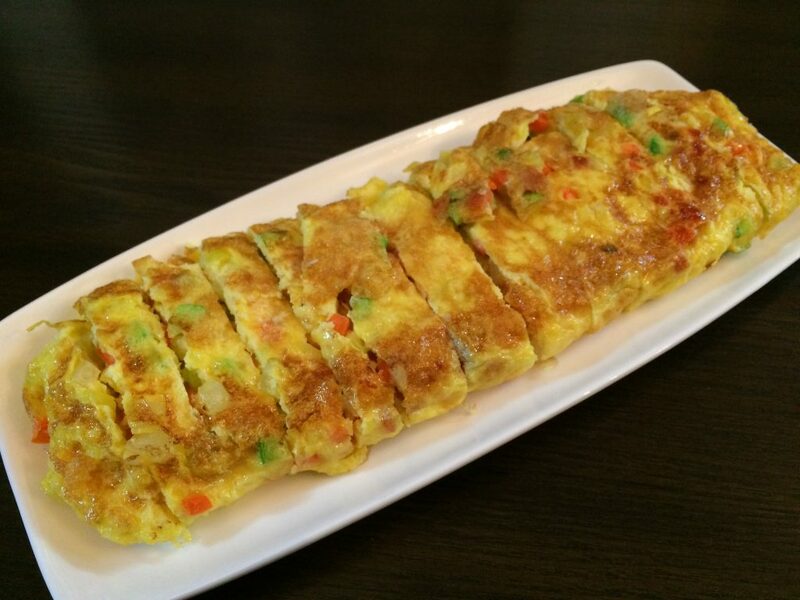 The omelet normally cut into 3/4in (20mm) strips and is eaten with a chop stick. 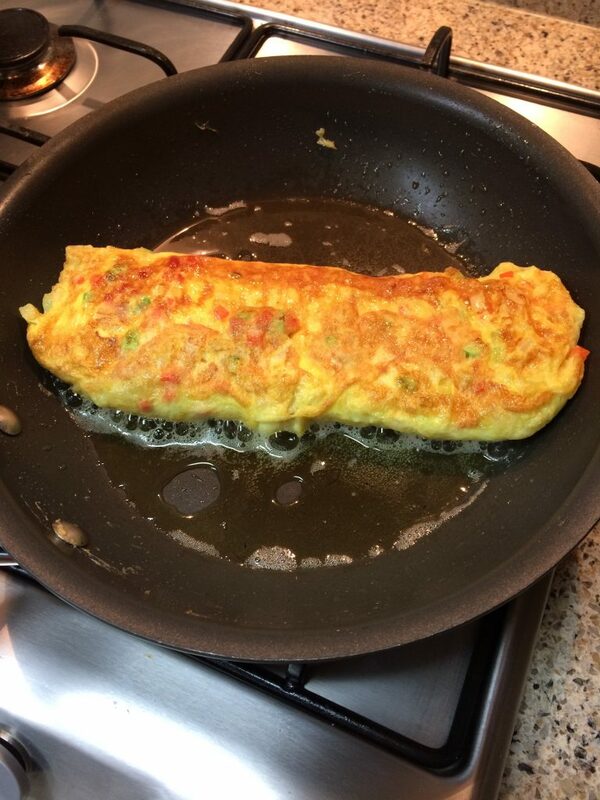 The omelet holds its shape better than the floppy American and French style omelets. There are three procedures that you need to do to achieve the perfect Korean omelet and which is the discussion of this article. In western style omelet making you whip eggs, pour them in a pan, and cook the the eggs until the top side begins look done around the edges. Then throw on some meat, vegetables and cheese — fold it twice, and you are finished. The result is a flat and floppy omelet. This is not a criticism of the western style omelet — as they are delicious too — moreover, I want to juxtapose the difference. The western style of omelet making is a simple method that is a quick and easy way to get morning breakfast going in the morning and is a widely used method to make omelets. In Korean style omelets you start out by whipping eggs, but then you add meat and vegetables to the whipped eggs before you pour them into a skillet. 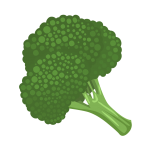 There is also a difference in the vegetables used to make a Korean omelet. Korean omelets ordinarily use the Korean mirepoix trinity (onion, carrot, zucchini). 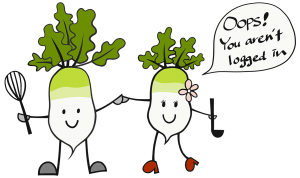 The Korean trinity is much like the French mirepoix trinity except Koreas use zucchini instead of celery. Typically, Koreans use spam as the meat in their omelets but also use bacon. 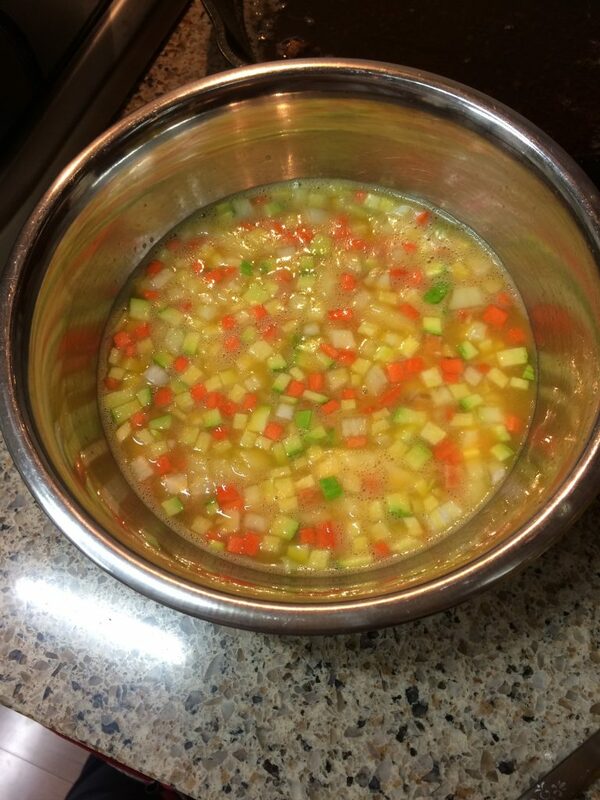 Once everything is stirred together pour the mixture into a warm skillet to about 1/8-1/4in (3-5mm) thickness. There’s two more steps that goes with this recipe that we want to share with you. We reserve our best tips, tricks, and secrets for registered members or people who will share our content. Please either login or create a free account by registering or simply use a social media account to shrare. If you follow these procedures your omelet will come out taller, fuller, and fluffier than your typical omelet. 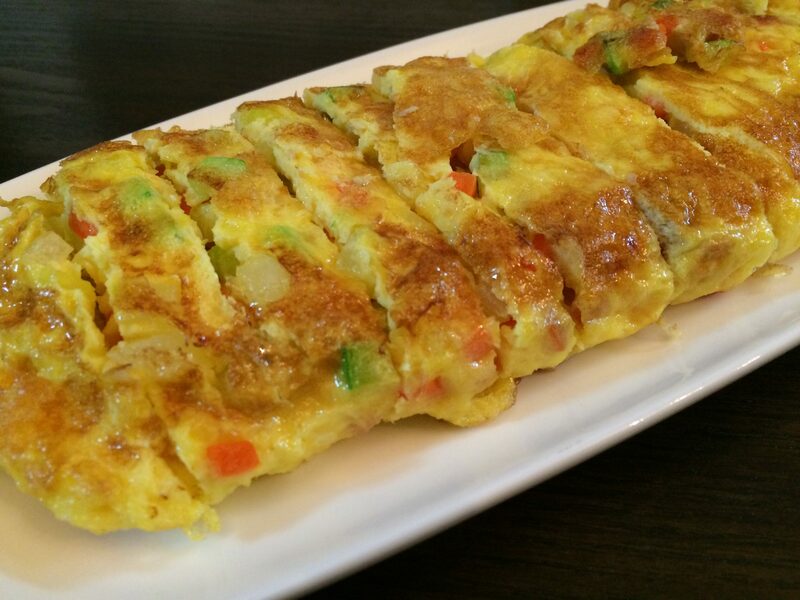 This omelet stays together well and can be cut up and eaten with chopsticks. Whip eggs throughly in a bowl. Dice all the vegetables and meats, then add them to the bowl with whipped eggs. Stir and mix well. On a low medium heat, coat pan with canola oil and spread evenly. Place a drop of an egg on a pan to see if the oil is ready. The egg should gradually begin to cook with small bubbles. Pour the mixture into a pan. Go from one side to the other (don’t make it too thick!). Use spatula to spread and place the ingredients evenly on the egg. Change the heat to low. Place the cheese off center on the egg. Use spatula, lift the one side of the egg to see if the bottom is cooked. You should be able to lift up the side without breaking the egg and the top shouldn’t be cooked all the way yet. If its ready, it will look light brown. Fold over about 1/4 of the omelet, hold it in place with the spatula, and gently push it together. Let it cook folded this way for 2-3 minutes. After the first 1/4 of the omelet has cooked for 2-3 minutes. Fold over the omelet another 1/4. Follow the same steps until you finish rolling the whole omelet. 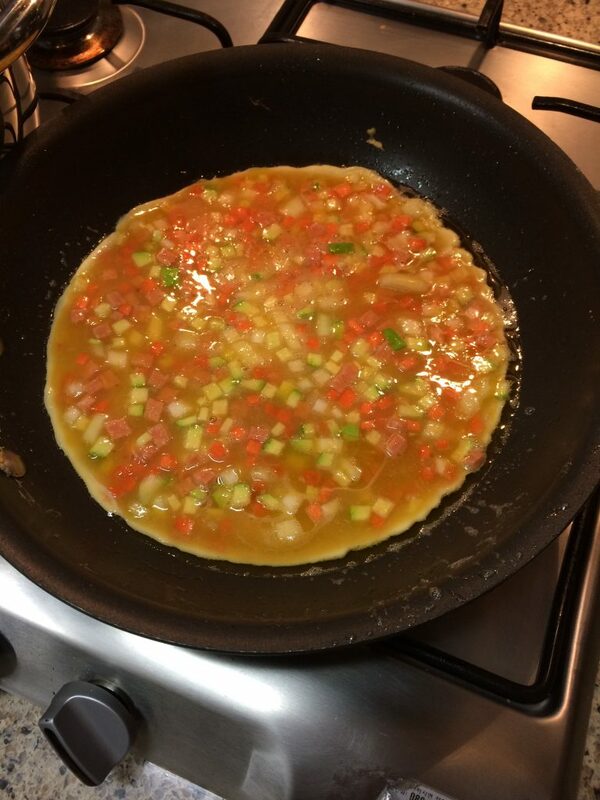 Continue cooking, gently turning the omelet over. Cooking the omelet until nothing leaks or comes apart from inside. Place on a cutting board and let it rest for 2-3 minutes. 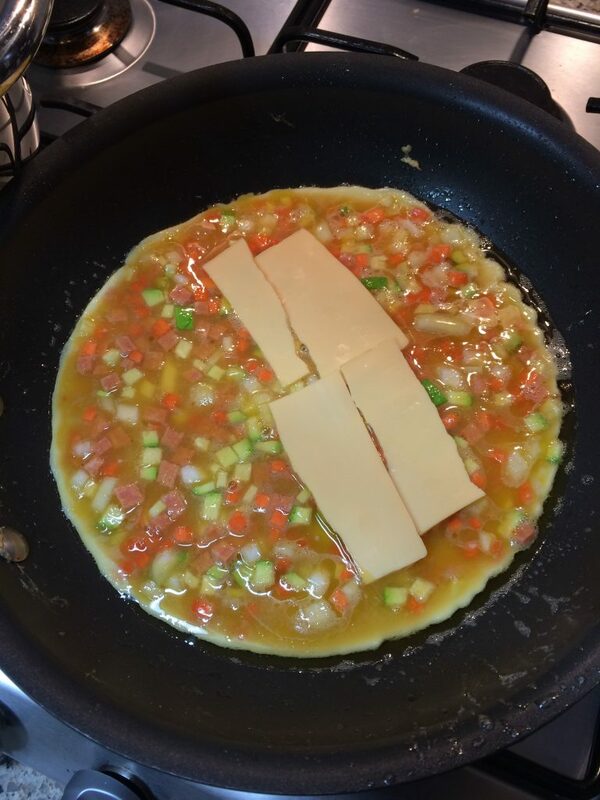 Cut the omelet into about 1in (2.5cm) strips or less and serve. Be sure to use a cooking pan that is made for non-stick frying. A good quality frying pan is very versatile for low temperature frying. Never use a nonstick pan on high heat, it will destroy the nonstick surface. Use nonstick pans for frying eggs and meats. The disadvantage of nonstick, is that food does not stick to it when you might actually want the food to stick liken when trying to create a fond, or when trying char food for extra flavor. Nonstick pans can be used for just about anything, but should not necessarily be the first pan you use for cooking everything. You will want to keep your nonstick pan for cooking particular things, otherwise the nonstick surface will wear over time. It's best to dedicate this type of pan for certain things, eggs being one of them. The cooking pan that I recommend most for nonstick frying is the Calphalon brand pan. They are very good quality, and will last many years before the nonstick surface wares. The heaviness of the pan absorbs and traps heat, keeping the pan constant temperature while cooking. To make Korean Omelet, start by preparing your ingredients dicing and placing them in a bowl with whipped eggs. Make sure to cook this on a low heat with patience. Do not try to roll the egg when it's not done yet. You will break it! Once your assembly line is ready, then follow the instructions below.